Piña coladas are one of the most popular tropical cocktails in the world. Delicious and creamy, these Caribbean concoctions are just as tasty at home as when you're sipping on one at the beach. Pour the rum, coconut and pineapple into your margarita machine's blender jar. Fill up the ice reservoir to the MAX line and then just hit the switch. Your machine will blend up a thick and creamy cocktail in seconds. Garnish with a cherry and pineapple wedge. Once you master the classic Piña Colada, try taking some liberties and making one of these variations. Switch up the classic Piña Colada. 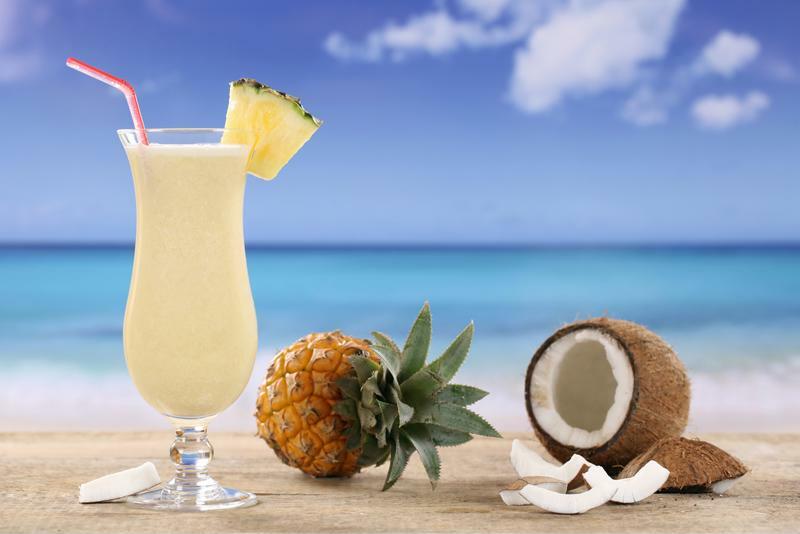 The Piña Colada may have its modern origins in Puerto Rico, where it's the national drink. However, the earliest versions of this drinks, which means "strained pineapple" in Spanish, didn't include coconut. Try shying away from the overpowering coconut creme flavor by focusing on combining rum, pineapple juice and only a splash of coconut milk. Consider using a little overproof rum as well. Improve the classic Piña Colada with a berry-filled treat. Add some strawberry daiquiri mix, a splash of flavored rum and fresh strawberries, blackberries and blueberries themselves. Your end result will be a sweet and refreshing berries and cream cocktail. "Use bourbon for a tropical drink with a strong American twist." Rum may be a Caribbean staple, but you don't need to use this classic liquor in your drinks. Try replacing your rum with the same proportion of vodka - flavored or unflavored. It can add a different taste and vibe to the cocktail, but it's just as good as a frozen cocktail. Replace half of your rum with this liqueur for a sweet and flavorful variation on the the classic Piña Colada. Add a few extra cherries to the end product as well. Forget the rum altogether and use bourbon along with your coconut creme and pineapple juice for a tropical drink with a strong American twist.